China is set to launch its first micro-gravity experimental satellite in April, a media report said on Friday. The Shijian-10 satellite arrived at Jiuquan Satellite Launch Centre in northwest Gansu province on Wednesday, ahead of its scheduled launch, the People’s Daily reported. The Shijian-10 is the first micro-gravity experimental satellite in China designed for conducting scientific experiments in space, says Li Chunhua, deputy chief designer of the Shijian-10. 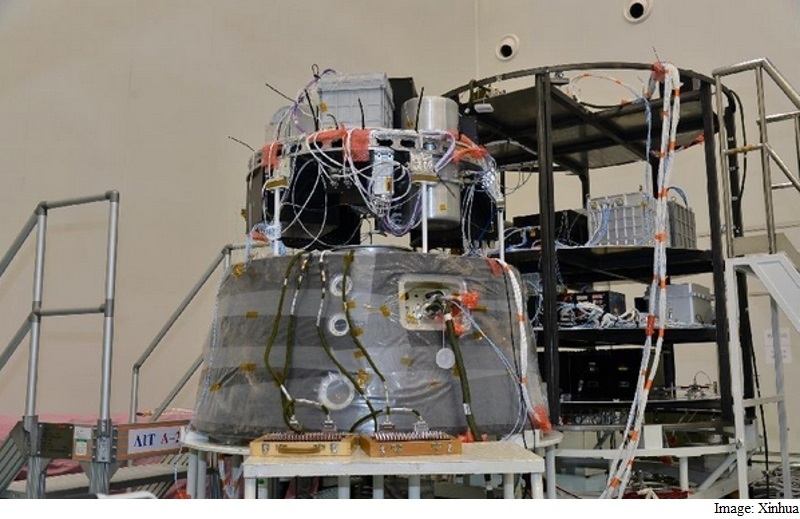 It will perform a total of 19 experiments involving micro-gravity, micro-gravity combustion, space material, space radiation effects and space biotechnology during its 15-day mission. At present, scientists all over the world are working on facilities to create micro-gravity conditions, such as parabolic aircraft, sounding rockets and other experimental platforms, which can provide a micro-gravity environment for a few minutes or less. But for longer studies, a satellite like Shijian-10 is a must. The Shijian-10 is different from ordinary satellites in that it is returnable. After completing its mission, it will return with the results. The Shijian-10 has unique shape, similar to that of a bullet. In the launching process, it does not require payload fairing because the satellite itself takes on that protective role. Due to its short flight time, the satellite is equipped with chemical batteries instead of solar panels.